Happy Wednesday everyone! It has been a crazy busy week here in Vancouver. I hope you are all settling into a fall rhythm! If, like me, you’re in need of retail therapy but haven’t had time to shop, I present this week’s wants! haha. 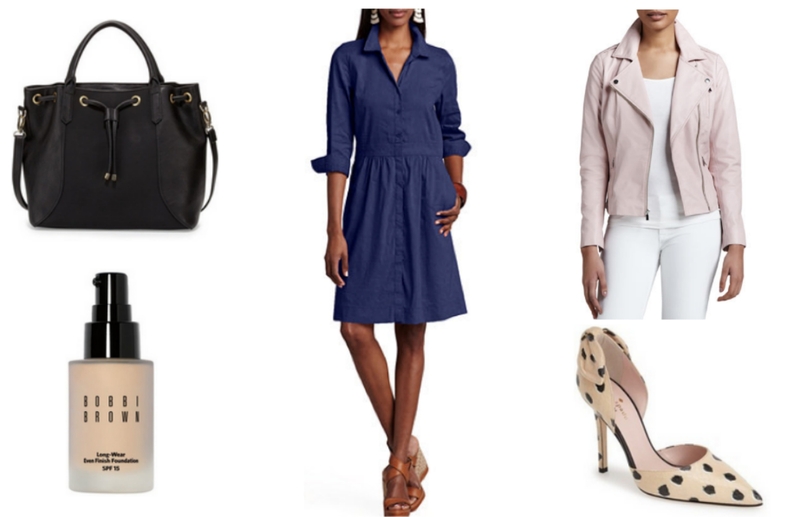 There are a lot of great items this week – from the Jacquard Layered Dress which I need to get for the office, to the long wear foundation which I’ve recently been told has great coverage and really does last all day – I am definitely saving up to shop some of these items. See you guys back here on Friday for a great casual outfit post. You’ll get to see what I pretty much live in when I’m not in business casual attire! In the meantime, be sure to follow along on instagram and facebook. "Essentials for a Business/Professional Wardrobe"
I love those pumps! GORG! That blue lace dress is stunning! The color is amazing. I just got the blush motorcycle jacket and its fabulous! isn't it a pretty color!?! I want to see if it is as bold in person! You diddddd?!?! Omg I am so jealous! I need it! These picks are great! That sweater with the glasses is adorable! That glasses sweater is fantastic! Isn't it cute?! Yay nerd chic! I love those black booties! I just ordered a pair very similar to those. Have a fab weekend! Thanks! And thats awesome! SO perfect for fall! Love the lace dress, the color is just stunning! Isn't it a beautiful blue?! Love your selections! I've been looking for a good bucket bag so I need to check that one out!!! Thanks! And same here – I want one that still has a bit of structure so this one looks perfect!